Ohio Surgical Services was founded by Dr. Paul Ferraro, D.O., a board-certified General Surgeon with 15 years of experience in surgery and wound care. He was inspired to pursue surgery during his nearly 10 years of service as a special forces medic. Wound care management is the perfect marriage of his experiences, from emergency treatment on the battlefield to surgical care at patients' bedsides. Dr. Paul Ferraro specializes in all aspects of general surgery and advanced laparoscopy, including colorectal, hernia, and gallbladder surgeries, as well as upper and lower endoscopy Dr. Ferraro has more than 15 years of experience, in addition to a decade of service in the U.S. Armed Forces as an infantry sergeant and special forces medic. 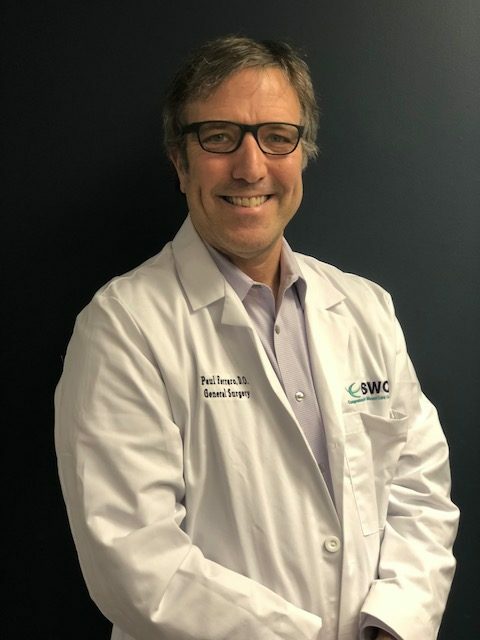 The founder and CEO of Comprehensive Surgical and Wound Care Consultants, Dr. Ferraro also holds the positions of clinical assistant professor of surgery at Northeast Ohio Medical University and director of wound care at Select Specialty Hospital in Akron, Ohio. Dr. Ferraro earned his doctorate at the University of Health Sciences College of Osteopathic Medicine in Kansas City, Missouri, after receiving his bachelor’s degree in biology from Southwest Missouri State University. He completed his internship and residency at Cuyahoga Falls General Hospital, now known as Western Reserve Hospital. He is a member of the American College of Osteopathic Surgeons, American Osteopathic Association and American Medical Association. Here are some tips from Dr. Ferraro on Caring for your skin and feet as you age.